Custom engagement rings are a popular alternative to premade designs. Custom rings can be designed to reflect the personality of the couple and symbolize the special relationship they share. There are many ways to customize an engagement ring, from simple design choices to elaborate and unique options. Not every jeweler creates customized engagement rings. Many chain stores only do minor alterations such as engraving, resizing, or possibly simple stone substitution. However, many local and online jewelers specialize in designing custom rings for the bride-to-be. Ritani offers custom engagement ring designs. The jeweler makes it easy for customers to create a custom ring. 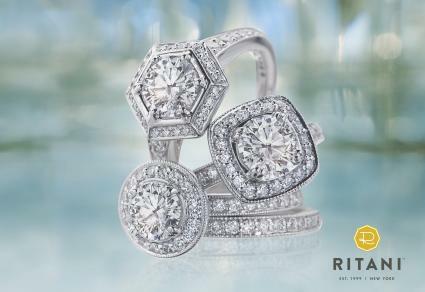 You will begin the process by choosing the perfect diamond from Ritani's inventory. You then will select your ideal setting from a wide variety of styles, metals and price ranges. After you find the diamond and setting that you like, you can add the ring to your cart or save it to your Favorites on Ritani's website. This option allow you to either preview the ring online, purchase it immediately, or see it in person at one of the local jewelers who partner with Ritani. 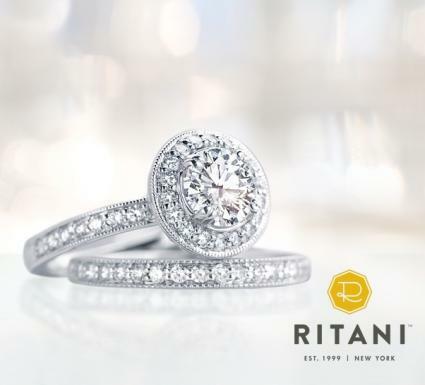 Ritani president Brian Watkins explains, "You can reserve up to two finished rings online to be sent to a local Ritani jeweler to seen in person before purchase." Watkins adds, "Reserving your ring online and seeing in person before committing removes a lot of stress from the process. You get exactly what you want, you can see it in person with the help of a local expert, and you're under no obligation to purchase. It's the ultimate way to purchase an engagement ring." All Ritani rings also come with a 30-day no-questions-asked return policy that, according to Watkins, "includes custom-designs." This means that, if the ring isn't exactly what you wanted - for any reason - Ritani will take it back. Mark Broumand offers custom designs. You can have a ring created from any precious metal and choose shaped stones such as round, princess, radiant, marquise and more. To begin the process of having a ring custom made, you must submit an online request. You'll need to fill out a form that asks for specific details about the ring you want made. You will need to include your ring size, type types of stones you want and photos or links to rings in a similar design to what you are interested in. To get inspiration for rings, you can also browse the Special Order Gallery to see custom designs that have been created for past customers. Mark Broumand will personally review your request then reply with additional ideas as well as a price. 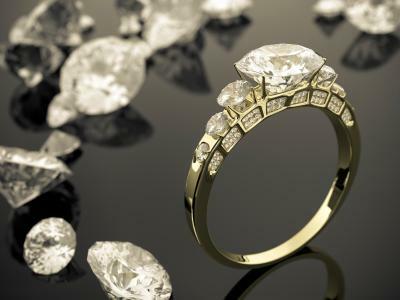 Once you begin the process, a model of your ring will be designed using 3D rendering. A wax model of the ring will be made and then cast in the metal of your choice. The in-house photographer will take photos of the ring and send it to you for review. Once it is approved, your ring will be appraised by a G.I.A. graduate then shipping to you along with a certificate of authenticity. At Brilliance, the in-house jewelry designers can make a custom ring to meet your needs. 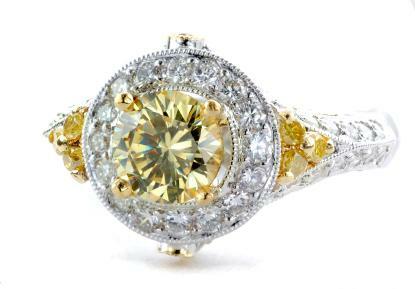 Brilliance claims to give you the look of a designer ring at a fraction of the price. To begin customizing a ring, you will need to submit an online form and, if available, attach images of ring styles that you like. After you complete the form, a Brilliance representative will contact you within a few days. You will need to give information such as when the ring is needed, your ring size, design specifications, price range, preferred metal and stone shape. After talking with you, the designers will get to work creating a ring for you. Brilliance will send you an illustration to review and approve. After the final design is approved, the ring will be cast in metal, polished and completed. It will then be shipped directly to you. All rings come with a lifetime warranty against defects. There are many ways to customize an engagement ring. According to Watkins, "Some of the more unique customizations Ritani has done included combinations of fancy colored diamonds, adding a personalized symbol to the band, and adding small diamonds to the inside of the band." Metal choice is also a factor to consider when commissioning a custom ring. While yellow gold is the most popular engagement ring metal, many couples decide to use a metal such as platinum or white gold for the ring. Silver, rose gold and titanium are all other unique options for metals. You can also decide to use a mix of metals to create a two-tone design for your ring. Engraving is the most common and least expensive method of customization. A simple set of initials, significant date such as the wedding date, or a private sentiment can add personal meaning to any ring. Custom does not have to mean expensive. Custom rings can vary in price. You can find rings for under $1,000 to well over $10,000. The price depends on the size and quality of the stone, setting style and what jeweler you use. The best way to simplify the design process is to do as much research as possible before making your final decision. Watkins suggests, "Fantasy shop to find the styles of ring and types of diamonds that you like. Once you've narrowed in on a style, start digging into the details." "The best place to start is to ask family and friends for a reference. Most local jewelers with sterling reputations have been in business for generations so they're likely to have served a family member or close friend." "Another good place to look is the American Gem Society (AGS)." AGS is the jewelry trade organization dedicated to consumer protection and they carefully review all jewelers who become members. "Once you're in a jewelry store, ask about their on-site resources." If the store has a bench jeweler, does on-site repairs and has certified gemologists on staff, then you are most likely dealing with a jeweler of reputable quality. An engagement ring is more than just a stunning piece of jewelry. It is a symbol of love and commitment. There is no better way to represent this bond than with a special ring created just for the bride-to-be.